Product Description: Think you are what you eat? Think again! You are what you DIGEST and ABSORB. 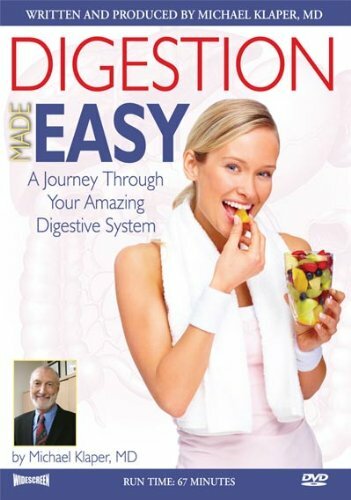 In this extraordinary presentation by one of America's foremost authorities on nutrition and health, Digestion Made Easy takes you on a journey of understanding through your digestive system to meet the amazing organs that turn your food into -- YOU! Through this entertaining, illustrated lecture you will learn how digestion and absorption work, how to keep digestion functioning optimally, and how to avoid and/or heal common diseases like acid reflux, constipation and diverticulosis. Digestion Made Easy makes a complicated subject easy and fun to understand, and shows you what foods to eat to keep your digestive system -- and you -- healthy for a lifetime.